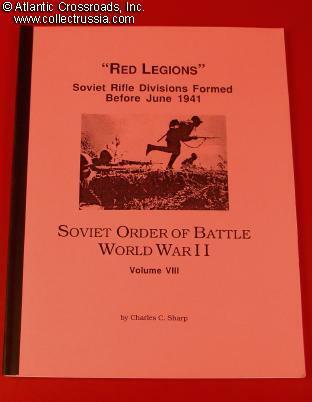 "Soviet Order of Battle, WW2, Volume 8: Red Legions. "Soviet Order of Battle, WW2, Volume 8: Red Legions. Soviet Rifle Divisions Formed up to June 1941". by Charles Sharp.